makes its way back to the mainland. 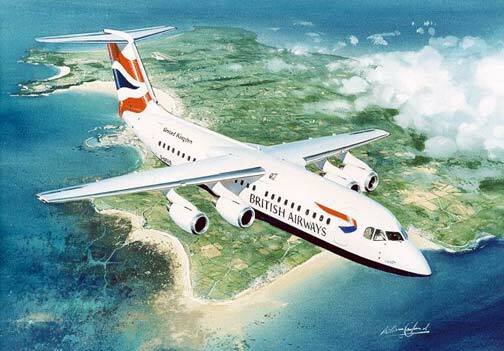 With the beautiful island of Jersey below an Avro RJ100 makes its way back to the mainland. Operated by City Flyer this popular and very versatile aircraft has served the airline well. Derived from the BAE146 this all-British design has probably been the most successful airliner since the Viscount. This fine art print is a limited edition of just 250 signed and numbered by the artist Anthony Cowland G.Av.A.